After 18 months of withering attacks and accusations, Donald Trump has decided to get up off the canvas and fight back. In a series of tweets stretching from Sunday night to early Monday morning, Trump announced that he would launch his own investigation to see whether the FBI and DOJ had improperly targeted his campaign for “political purposes”. It’s a gutsy move by Trump but one that could backfire quite badly. By demanding an investigation of the DOJ and FBI, the president is asking those agencies to willingly reveal their own transgressions, to produce the documents and other information that could potentially expose many of their own people (Obama holdovers) to criticism or even criminal prosecution. It’s hard to believe that many career bureaucrats would want to assist Trump in an effort that could potentially damage their colleagues or the reputation of their own department. Got that? So deep-state Rod is going to sort this mess out and let us all know if there’s been any funny business or not. What a joke. The man is so conflicted he should have been removed months ago. It was Rosenstein who wrote the 3-page memo that persuaded Trump to dump Comey after which he quickly appointed Robert Mueller as Special Counsel using the ‘firing of Comey’ as his justification. That might the sleaziest political switcheroo I’ve seen in my lifetime. Okay, so who decides what is appropriate or inappropriate? The Inspector General or our buddy Rosenstein who’s going to do everything in his power to hide the smoking gun. In any event, that doesn’t change the fact that the campaign was infiltrated by at least one informant who tried to wrangle as much information as possible out of his targets. Which brings us to the case of Stefan Halper (image on the right), “the 73-year-old Oxford University professor and former U.S. government official” who “was outed as the FBI informant ” and who “was paid handsomely by the Obama administration starting in 2012 for various research projects. “The most recent award to Halper for $411,575 was made in two payments, and had a start date of September 26, 2016 – three days after an… article by Michael Isikoff about Trump aide Carter Page, which used information fed to Isikoff by “pissgate” dossier creator Christopher Steele…. The second installment of Halper’s 2016 DoD contract is dated July 26, 2017 in the amount of $129,280 – around three months before the FISA warrant on Carter Page was set to expire following repeated renewals signed by Deputy AG Rod Rosenstein and a federal judge…. Halper’s July 28 email to Page – sent two days after the second portion of his contract kicked in, suggests that the espionage operation against Trump associates was still active seven months into the new administration…. Maybe the Halper connection is a big nothingburger for which there is some perfectly logical explanation, but, seriously, does anyone really think this passes the smell test?? “The recent press reports add to a wealth of information showing that the US intelligence and spy agencies, operating behind the backs of the American people and without any democratic accountability, manipulated the 2016 elections on a scale that massively outweighed anything Moscow could have attempted. The real threat to the democratic rights of the American people comes not from Russia or foreign terrorists, but from the US government itself, which is completely controlled by a vast military/intelligence complex allied to the financial oligarchy. Both major parties are beholden to this “deep state” machine for surveillance and repression. “F.B.I. agents sent an informant to talk to two campaign advisers only after they received evidence that the pair had suspicious contacts linked to Russia during the campaign….The role of the informant is at the heart of the newest battle between top law enforcement officials and Mr. Trump’s congressional allies over the F.B.I.’s most politically charged investigations in decades. The lawmakers, who say they are concerned that federal investigators are abusing their authority, have demanded documents from the Justice Department about the informant. “It has now been confirmed that the Trump campaign was subjected to spying tactics under counterintelligence law — FISA surveillance, national-security letters, and covert intelligence operatives who work with the CIA and allied intelligence services. It made no difference, apparently, that there was an ongoing election campaign, which the FBI is supposed to avoid affecting; nor did it matter that the spy targets were American citizens, as to whom there is supposed to be evidence of purposeful, clandestine, criminal activity on behalf of a foreign power before counterintelligence powers are invoked. The fons et origo of the counterintelligence investigation was the suspicion — which our intelligence agencies assure us is a fact — that the Democratic National Committee’s server was hacked by covert Russian operatives. Without this cyber-espionage attack, there would be no investigation. But how do we know it really happened? The Obama Justice Department never took custody of the server — no subpoena, no search warrant. The server was thus never subjected to analysis by the FBI’s renowned forensics lab, and its evidentiary integrity was never preserved for courtroom presentation to a jury….. So the FISA surveillance, the national-security letters, the FBI informants and 18 months of relentless probing-harassment have all been justified on the basis of allegations about Russia hacking that may or may not have happened at all?? Yep. Like we said earlier, it’s pretty thin gruel. What sort of nonsense is this?? The “informant acted improperly” the minute he infiltrated the Trump campaign with the intention of gathering information on the rival party. Is the Times really trying to make the case that spying on one’s political opponent is morally, ethically or legally acceptable?? 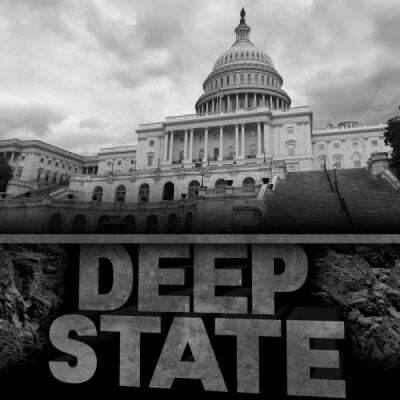 The fact that the informant has been exposed is just the first step in a long process that will (hopefully) reveal the machinations of the deep state apparatus and its connection to behind-the-scenes corporate mandarins, the real puppetmasters in this political fiasco. Got that? Flynn talked to a Russian woman at a seminar and the Times thinks that’s sufficient grounds for ‘tailing’ him or infiltrating the Trump campaign or issuing FISA warrants or National Security letters or collecting all-manner of electronic surveillance on Trump’s former campaign chairman or appointing a Special Counsel to snoop around in the elected government’s private affairs or saturating the airwaves with fake news stories for the better-part of 18 months. Where does it stop or is Russia going to be the all-purpose excuse for government misbehavior until we’re all locked up in Gitmo under 24-hour surveillance?? Would the editors of the Times find a justification for that, too? The reason the Times released this article on a Friday night, when everyone was focused on the Royal wedding, was to minimize the political fallout. They wanted to see the public’s reaction, but they wanted to limit the circulation. They wanted to see if they could still control the narrative in lieu of damning new details that had surfaced. Most of all, they wanted to see if they could still divert people’s attention from the fact that a powerful group of government insiders and their junta-allies at the DNC have been engaged in a coup d’état to roll back the 2016 elections and remove the president from office. It’s getting harder to hide the truth all the time.